The full display module contain the following parts; frontcover, touchpanel, digitizer and lcd. It is a complete display part, if the screen is cracked or scratched, it will replace the lcd display and digitizer at once. 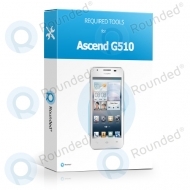 If the display module is repaired the screen image and touch function will be replaced. An other big advantage of a full display module is that the display parts are mounted together. It is delivered as one full unit. 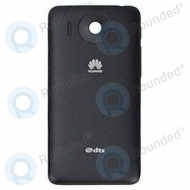 Question or inquiry for Huawei Ascend G510 Display module frontcover+lcd+digitizer black?